Why is Shahid Kapoor hiding his face? Shahid Kapoor tends to dazzle people with his smile every time he steps out however on this instance he was captured in a very different avatar. On a recent outing actor Shahid Kapoor was spotted covering his face with a printed smuff. 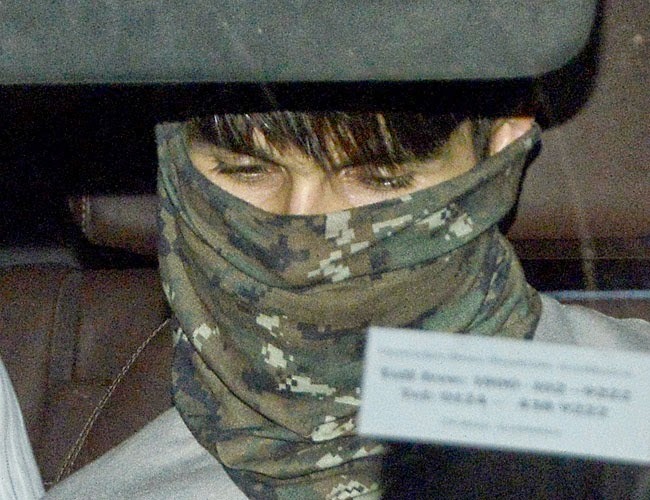 The actor who is busy shooting for Shaandaar which also stars Alia Bhatt was seen hiding his face as he stepped out. Apparently Kapoor was hiding the new look for his latest project in which he plays a wedding planner. These days a trend has set in wherein actors go to extreme lengths to cover their look like it is impossible to spot Ranveer Singh without a hat these days. 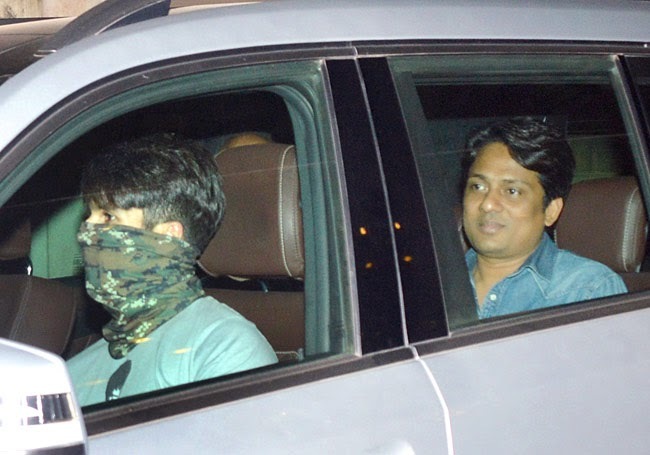 Maybe Shahid is following the cue by being extra cautious about not revealing his face. We wonder if we are in for a big reveal of sorts?